The IOTAP research center at Malmö University has a tradition of working interdisciplinary and involving researchers from different backgrounds and expertise. This is one of the reasons why PhD student Agnes Tegen decided to start as a PhD student at IOTAP. In her PhD project she will bring a user experience perspective and explore ways to design intelligent IoT systems. Agnes, which are your research interests? My main research interests related to Internet of Things and People are about embedded intelligence, distributed artificial intelligence, sensor-intensive systems and machine learning. I’m also interested in the users’ perspective of technological solutions and I’m convinced that keeping the users in mind is an important aspect when designing systems in general. I have a background in engineering mathematics, cognitive science and psychology. I believe that the number of connected devices in our lives will continue to increase, both in quantity and in complexity. The fields of applications are diverse and growing with everything from diagnostic tools in smart healthcare, to increasing efficiency in power grids and improving transportation systems in smart cities. A more connected world will result in facing new challenges, including the performance, connected devices, services, and systems. The systems must be able to handle the increased intricacy of network of heterogeneous sensors and other devices generating data. While this is a challenge, there are also many opportunities to be gained when data is collected, fused and analysed in an intelligent system. By providing a more diverse input, the heterogeneity of the different devices can even become an asset, resulting in more useful output. Which IOTAP projects will you be involved in, and how do you hope to contribute? So far, I’m involved in the Cooperative, Self-aware and Intelligent Surveillance Systems (CoSIS) project. I have a background in Engineering Mathematics, whereas most people in IOTAP have a background in Computer Science and Interaction Design. This slightly different profile gives another perspective, which for instance will be useful when developing the intelligence in the systems. Why did you apply for a PhD position at Malmö University? There were multiple things that made me interested in the IOTAP research center at Malmö University. First, the multidisciplinary research field which combines many interesting research areas such as machine learning, artificial intelligence, cognitive science and interaction design. Second, in most research projects external parties are involved: organizations, companies, etc. Besides bringing another point of view, it makes the research connected to real world problems and issues. 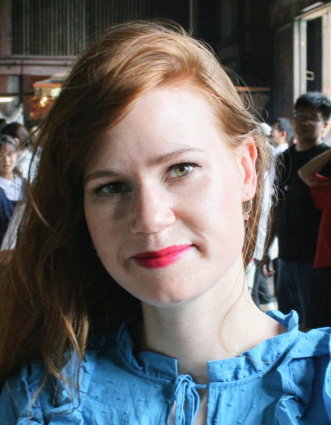 » Agnes Tegen is a PhD student at the Faculty of Technology and Society, Computer Science, Malmö University. Her supervisors are Paul Davidsson and Jan Persson.